Q U I L L . . .
Organic and subtle... inspired by stems from a feather, drawn by hand.. each design is unique! The designs have an unusual balance between innovation and beauty. Quill expresses the understanding of the beauty that lies in the modest, rustic and imperfect, that Japanese refer to as wabi sabi, a philosophy that is shines throughout Tamura’s work. 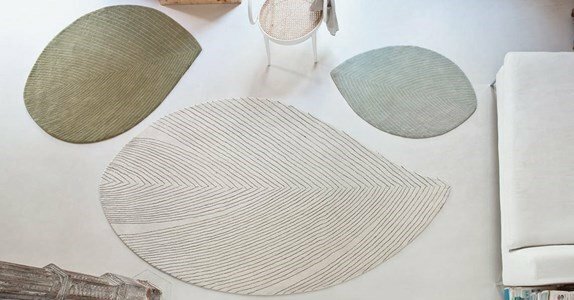 Available in three sizes and a pastel palette, Quill rugs are beautiful alone and can also be placed together to form inspiring combinations. Handmade, using the system "HandTufted", 100% wool. Has density of 124.00 knots/m2. The height of the hair is 5mm and the total height of the rug is 11mm, weights 4,0kg/m2.